Floodlight Cam: A wonderful floodlight camera that gives you 24x7 outdoor surveillance with a motion-activated light. 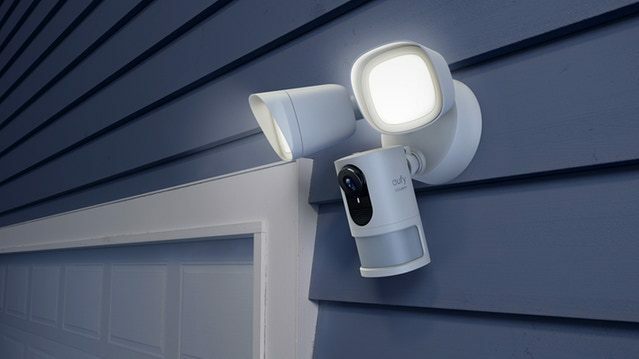 Description: This floodlight camera, which offers adjustable brightness, provides lighting for nighttime and helps with surveillance—all without any monthly fees. 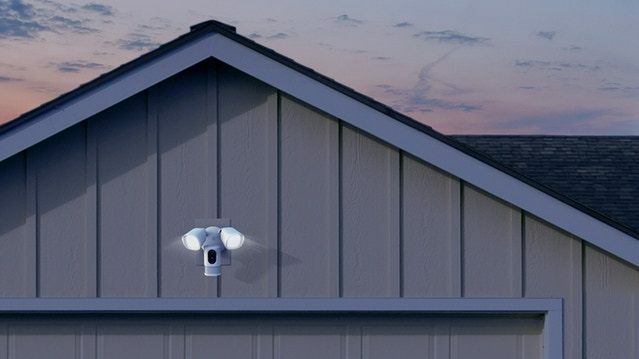 You can place it anywhere you need motion-activated lighting with video surveillance, and is the perfect addition to traditional outdoor lights. Baby Monitor: The first baby monitor with HD picture quality and a 5 inch display. Description: This baby monitor helps parents check in on their nursery. With its independent monitoring screen, parents can carry it around when doing housework or just enjoying some downtime, but also be able to watch and listen to their baby in real-time. DoorBell: A smart doorbell with A.I. Description: With an A.I. 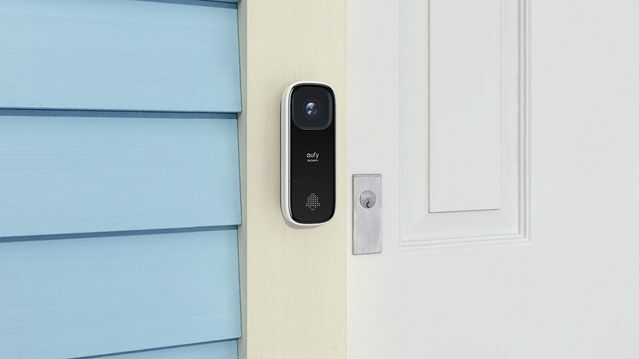 engine built in, eufy Security DoorBell can recognize your face and notify you when strangers are approaching; you’ll also be able to communicate directly with the approaching person. In addition, the display shows different icons when different features are in use, and also lets other people leave you video messages. @AnkerOfficial - Can you please provide some clarification on this last one? Anyways, what do you think of these new products coming soon from eufy Security?! Otherwise, time is running out to support eufy Security's EverCam via Kickstarter.... Of course, to reach their next stretch goal, they have to raise $3 Million USD ($467,122 more at the time of posting) by Friday, June 15, 2018 at 8:22 AM PT! 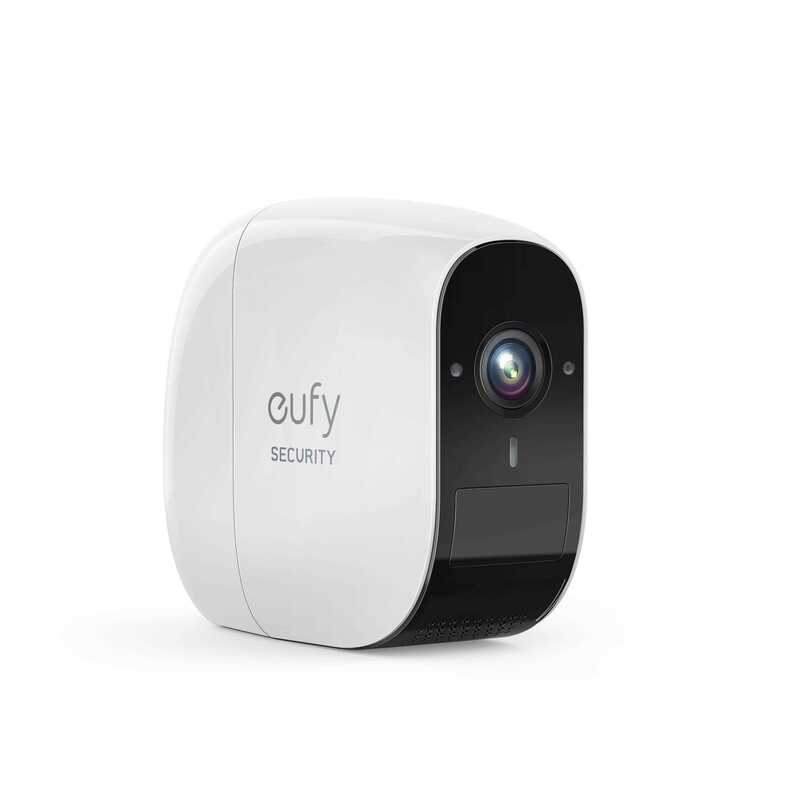 Note: None of these new eufy Security products will include the warranty detailed on eufy's website. Their security offerings will remain separate. These look awesome. With my third child arriving this summer, that baby monitor would be a great addition! Great lineup looks like I'll be switching all of my home security gear to eufy soon. Very excited about the baby monitor. Our little one is 2 months now, and it will be good to see him remotely when needed. The doorbell is intriguing as well. Excited to see more choice in the security department. As long as they keep local video storage with an option for cloud storage, I think they'll do well. I'm still going to wait for reviews before I purchase though. I'd really like to see native SmartThings integration, but as long as the community comes up with a device handler for it (which is very possible since they should have IFTTT) then it should be good. Adjustable brightness. These features are proving why these brands are expanding like the universe. With a one year battery life for the Eufy camera, what do you think will be the battery life? Ie rechargable or AA/AAA style batteries. Will there be a separate app for the security or will it integrate with one of the Eufy apps? Thanks for sharing! I'm interested in the doorbell and the flood lights. I've been running some cheap flood lights on LEDs and it would be nice to upgrade them with a set of these. I wonder if the DoorBell will be wireless. We don't have a wired door bell and haven't found a good option for a smart security doorbell. How exciting! They all look great! I'm particularly interested in the doorbell. I wonder how it will compare with Ring. My nephew and my (sort of) step-daughter would love to test the baby monitor. I'd love to test the doorbell camera. I live in a block of flats, so would be great for security reasons. I suspect tho, it'll only be for USA/Canada. The EverCam is shipping in various different countries, though, so it's possible eufy Security's future products will also be available in those areas. Security DoorBell looks like a winner to me. Shame my kids are a bit old for the baby monitor. Looks good. I had a Nest Hello iny cart when Josh posted this. The EufyBell will be a great addition. Especially if it works in the same ecosystem as the EufyCam and EufyFlood. I have a Nest Thermostat and Smoke/Carbon detectors - I love how they are all on the same app. Another follow up, is Eufy on IFTTT?